I’ve mentioned in previous reviews that one perk of having a burger blog, is that I get to scout out new places to try whenever I travel. This past Easter I traveled to Knoxville to visit a friend and decided to give Stock & Barrel a try. Stock & Barrel takes pride in the fact that they partner with local farms and businesses to promote local economic sustainability within the Knoxville community. All of their beef comes from Mitchell Family Farms in Blaine, TN. The family farm raises Holstein cattle that are all-natural and hormone-free. Unfortunately, after digging a little deeper, I learned that their cows are not grass fed. Bummer. 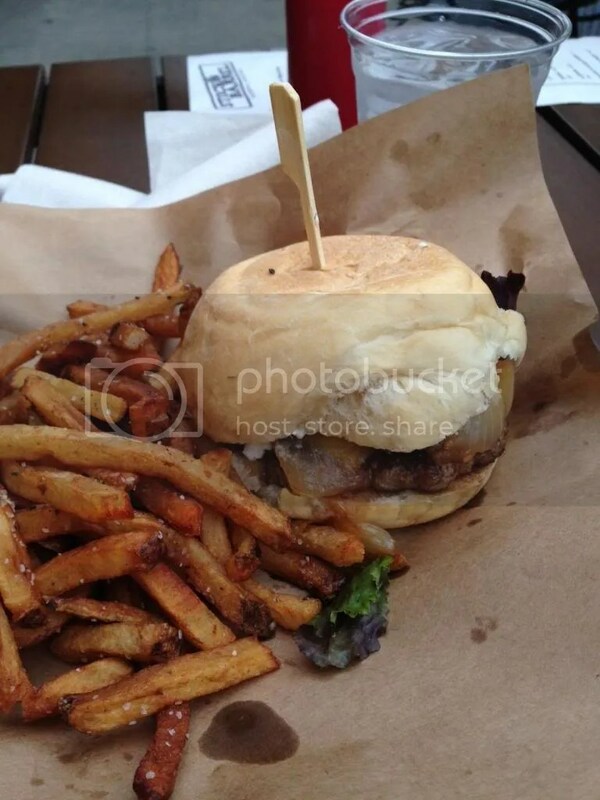 Stock & Barrel has a great selection of unique burgers to choose from. I was having trouble deciding. I asked our waiter for his suggestions, and he said I had to try The Greek burger. Of course he would recommend one of the most expensive burgers on the menu. It did sound very different from anything I had ever tried before so I decided to give it a go. It was a lamburger, topped with kesseri cheese, caramelized onions, tomatoes, greens, and tzatziki sauce. Simply put, this burger was incredible. While I’ve tried burgers that were half beef, half lamb before, this was my first fully lamb patty. It was definitely worth the extra money. The meat was very flavorful and was perfect for a Greek inspired burger. There were so many different flavors, but they all complimented each other perfectly. The tzatziki sauce was probably my favorite part. Stock & Barrel also gets props for their bun. The bun was toasted just enough, and held everything together well. 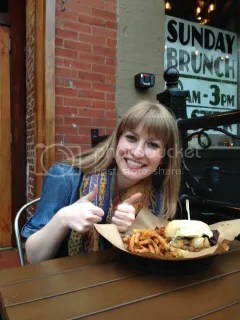 Have you ever had a burger that as you are consuming it, you just have to pause because it is THAT good. This was that kind of burger. I remember thinking “this is a burger I will dream about later”. I have only had one other burger experience like this (if you know me you know I talk about this burger regularly and it was the burger that inspired this blog. One day I will share the experience with you all). Anyway, if you have never had that kind of burger experience, you have never experienced a truly phenomenal burger. You may have tried a great burger, maybe even an incredible burger, but everyone needs to have a “take a moment and take this in” kind of burger experience at least once. While The Greek Burger at Stock & Barrel doesn’t claim the title as my #1 burger, it comes in a close second. If you are ever in the Knoxville area, Stock & Barrel is the place to go!